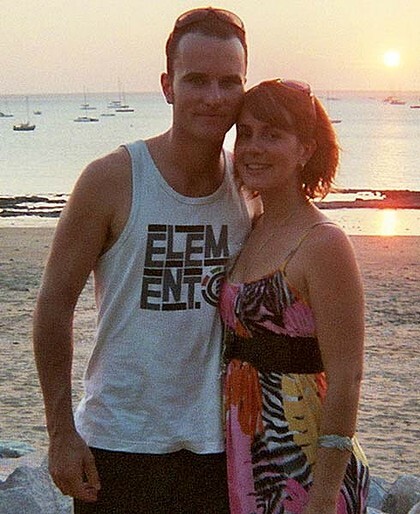 Richard Atkinson, with fiancee Dannielle. A 22-year-old Australian soldier killed in Afghanistan was engaged to be married. Corporal Richard Edward Atkinson was killed and another soldier was seriously injured by a roadside bomb in the southern Oruzgan province about 9.30am on Wednesday, acting Defence Force chief, Lieutenant General David Hurley, said. He was planning to marry his fiancee, Dannielle. This was the West Australian soldier’s first deployment to Afghanistan. Defence Minister Stephen Smith said Corporal Atkinson was born in Tasmania, but had family in WA and the Eastern States. He was also survived by his parents and a brother. In a statement released by the Defence Department, his family said he would be missed by all and not a day would go by that he would not be thought of. Richard Atkinson, brother James, sister-in-law Sumah and dad Ross. ”Rich was the funny man, always putting smiles on other people’s faces,” they said. ”He was hoping to start a family this year with (his fiancee) Dannielle. He was a dedicated soldier with long career aspirations. ”He was a family man who was very close to each of his relatives and was looking forward to coming home at the end of his tour to spend time with them in Tasmania. Friends also mourned his loss on a Facebook tribute page. “The tears in our eyes we can wipe away, but the ache in our hearts is here to stay RIP Akka you will be missed forever, never to be forgotten,” wrote Lisa Koum. “Look after yourself up there Akka. We’ll be drinking cocktails to your memory for the rest of our lives. Always in our hearts, Rest in Peace,” wrote Kate Frost. 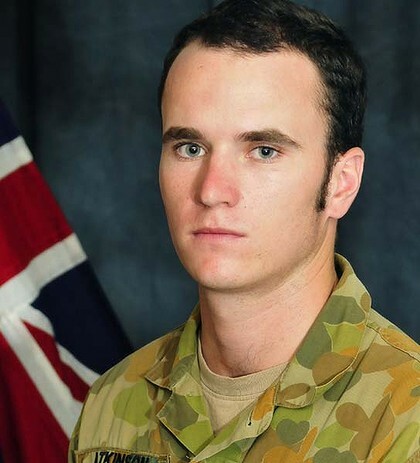 Corporal Atkinson is the 22nd Australian soldier to be killed in Afghanistan since operations began. Both soldiers were serving with the second mentoring taskforce and were from the Darwin-based First Combat Engineer Regiment, General Hurley said. They were conducting a dismounted partnered security control in the Deh Rahwod region of Oruzgan. General Hurley said that, after the bomb blast, Australian and Afghan soldiers quickly secured the site and provided first aid to their wounded colleagues. At the time of the attack, weather conditions in Oruzgan were very bad, with “rain, low cloud and large dust storms” seriously reducing visibility. General Hurley said that created some initial problems launching the aero-medical evacuation helicopter. “But the US air crew persevered in the dangerous conditions to get the aircraft off the ground in a few minutes,” he said. General Hurley said Corporal Atkinson showed no vital signs immediately after the incident and was officially declared dead on arrival at the hospital. No civilians were involved and he could not shed any light on the type of explosive device. General Hurley said the incident occurred in an area where military efforts needed boosting. The unit was looking out for improvised explosive devices at the time “but they may not have been specifically looking for them as part of the mission on that day”. General Hurley said in the past few weeks Australian and Afghan soldiers had successfully discovered several insurgent caches, including large amounts of explosives. Despite the small but significant successes it was a difficult and dangerous mission for the soldiers, he said. “We must also acknowledge the soldiers of the mentoring task force in Afghanistan,” General Hurley said. Their bond would be strengthened by the loss of Corporal Atkinson, he said. General Hurley said he extended the “deepest sympathy” on behalf of the defence force to Corporal Atkinson’s family. “The entire ADF defence community is saddened by the death of this fine Australian soldier,” he said. General Hurley asked all Australians to pause to honour Corporal Atkinson’s life. “His bravery should not be forgotten and his sacrifice brings great honour to him, the Australian Defence Force, our army and most especially his family,” he said. This entry was posted on Thursday, February 3rd, 2011 at 7:56 pm and is filed under DEATHS GRIEF MOURNING, SERVICES, WAR WEAPONS BATTLES. You can follow any responses to this entry through the RSS 2.0 feed. You can leave a response, or trackback from your own site. Created by miloIIIIVII | Log in | 81 queries. 32.599 seconds. | Entries RSS | Comments RSS.